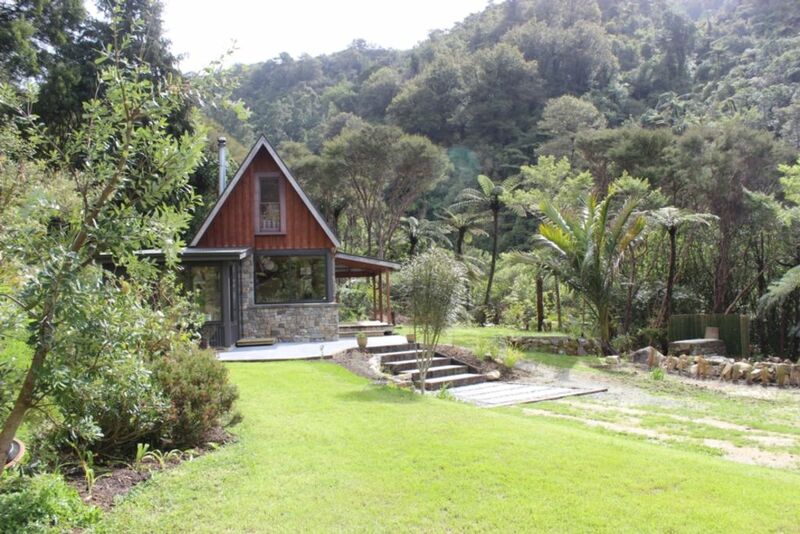 The cottage is warm and well appointed, built in carefully selected stone from every river in Golden Bay. There is a good efficient fire, plenty of dry wood and a heater,and with double glazing the cottage is really cosy. A magic spot...can't wait to come back! We came to Reen's beautiful cottage/chalet for our honeymoon. We had a lovely time using it as a place to relax and as a base to explore the rest of Golden Bay. The surrounds are beautiful, the cottage itself is very well thought, clean with modern appliances. The place has everything we needed and more. Reen came and checked in with us when we arrived and before we left and was very pleasant. We would highly recommend the retreat for anyone looking for a few days (or longer) in Golden Bay. Lovely to meet you and thank you for your kind review. All the best you two! Great place to stay at when you visit golden bay. The house is very comfortable and the surroundings are very peaceful and quiet. Bush walks, river and the beach are very close by. Also very nice hosts. Highly recommended. If you want a perfect place to stay in Golden Bay, this is it. A beautiful cottage, fully loaded with all you would want and in the most sublime private location. This is our second time and it will be the first place we book on our next trip to NZ.